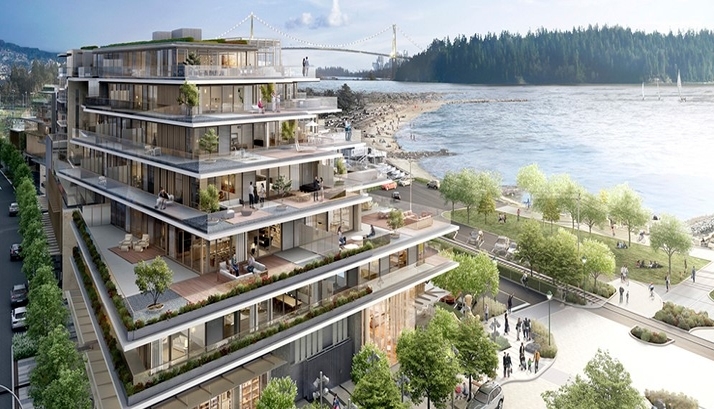 Snaidero USA has been chosen to provide kitchen cabinets, bath vanities and closets for Ambleside, a new Grosvenor Americas project in West Vancouver, Canada. The two-phase project includes 98 units in total, featuring waterfront views and world-class design by James K.M. Cheng Architects and Mitchell Freedland Design. The kitchens and baths will use Snaidero’s LUX line, while the closets are from the Snaidero USA Living collection. Snaidero USA has been selected by Fortune International Group as the kitchen provider for the new Jade Signature luxury condominiums. This luxury project is being designed by the Pritzker Prize-winning Swiss architecture firm, Herzog & de Meuron, and Parisian interior design firm PYR led by Pierre-Yves Rochon. Snaidero USA will deliver 192 OLA 20 kitchens for the beach-front residences located off the shores of Miami, Florida. The Howard Hughes Corporation® named Snaidero USA the kitchen cabinetry provider for the high profile Waiea project, the first residential tower to be constructed at Ward Village®, a 60-acre master planned community in the heart of Honolulu, Hawaii. Waiea’s 36 stories feature 177 luxury residences, including 14 penthouses and 10 villas. Each residence will showcase the rigorous and architectural lines of the WAY kitchen by Snaidero in a variety of finishes. Snaidero USA is also providing the cabinetry for the project’s bathrooms and closets. Snaidero USA will also be the kitchen and bath cabinetry provider for Chicago’s anticipated high-rise, which will stand as the third tallest building in the city. The Wanda Vista building will be the epitome of luxury city living, housing 406 units. The project is developed by the Chinese Wanda Group and Chicago-based Magellan Development Group, and will comprise both large residential units and hotel rooms in a luxury 95-story tower that is poised to become a landmark of the Chicago skyline.